High quality pull up banners with high-definition printing is a must have for any roadshows, conferences or events. Luckily for you, we have standee pull up banners and printing services available in a wide variety of sizes and materials in Singapore. 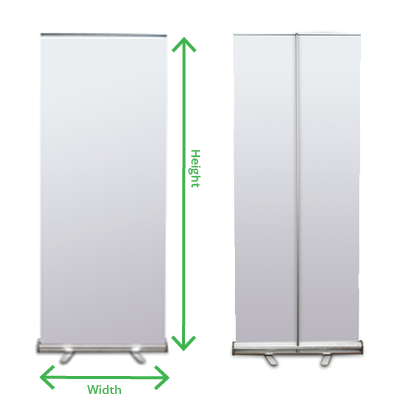 A pull up banner is a stand up banner that is light weight and portable. It is made up of aluminium and can be set up very easily. Here at BruceBanner, we offer three kind of pull up banners in a variety of sizes that are the perfect choice for businesses in Singapore. Each kind differs in their quality and durability. Our team of designers and banner experts in Singapore will work out a first design draft for your standee banner based on your guidelines. Do be as specific and as clear as possible on your guidelines. This is because subsequently, after the first 3 revisions, if you require any further revision, there will be an additional charge of $30 per revision.